First the confession: I’ve never liked cold coffee. I enjoy drinking my coffee hot. But there is a movement that is rapidly spreading across the specialty coffee industry, with some high-end thought going into making the perfect cold brew coffee. Now the admission: I’m quickly becoming a convert. Kind of. A turning point for me occurred during a trip to Austin, Texas, where I experienced some of what Cuvee Coffee is up to, and sampled some of its cold brew from a tap. It had a refreshing taste that I wasn’t used to with coffee. The nitrogen allows a bubbly head at the top, one that I swore tasted a little milky even though no milk is added. This got me thinking about giving cold coffee another chance. And finally the mission: To figure out what was going on in this world of cold coffee that seems to be popping up everywhere. Is there a way to replicate that refreshing taste I had in Austin? My Morning Cup: How does Xinning Li take his coffee? 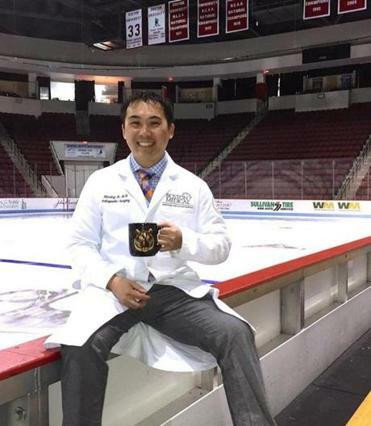 Here, the orthopaedic surgeon at Boston Medical Center shares his coffee rituals. I sought out drinks that were coffee only, with few to no additives. This latest fad is not frappuccino-like, or like the iced coffee you get going through the Dunkin’ drive thru. Instead, shops are now using a process to make cold brew coffee. Although these brews can be served over ice, it’s a lot more involved than just brewing up a pot of coffee and cooling it down, or pouring it over ice. Making cold brew can take 24 hours to make, and involves brewing coffee using cold water, slowly over time to extract the flavor from the beans. A lot of the action here seems to be dominant on the coasts, with Brooklyn and the Bay Area leading the way. 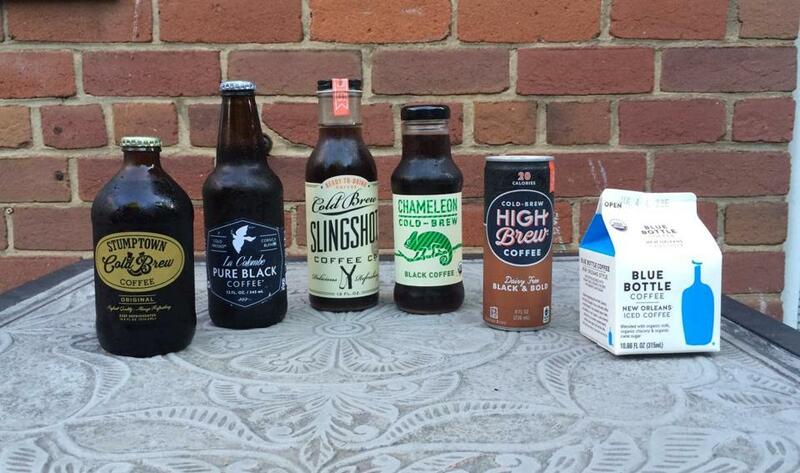 I tried to get my hands on as many kinds of cold brew as I could in the Washington, D.C., area. I ended up with six drinks to test: Slingshot, High Brew, Stumptown, La Colombe, Chameleon, and Blue Bottle. Most of these coffees are basic, with no ingredients other than coffee and water. I had them from the bottle, and, like with my hot coffee, didn’t add any milk or sugar. High Brew had almost no smell, and very little taste (I also tried its vanilla coffee, which was much better). The Chameleon also had no smell and a flat taste (again, it offers flavors on the coffee, which are better). La Colombe had a coffee smell, and more body to it than other drinks. It seemed akin to a coffee made with a French press, where it’s a little thicker. There’s some sediment here, which might be a turnoff for some. This coffee is steeped for 16 hours in stainless steel wine tanks, and then pressed and filtered twice. It was among the bolder brews, and was starting to get at a more flavorful coffee taste. But the best drinks, by far, were Slingshot and Stumptown. Both had a strong coffee smell and tasted like flavorful cups of coffee. I’d give a slight edge to Slingshot, which is based in Raleigh, N.C., and uses Counter Culture coffee. It was delicate and flavorful, and the packaging was the nicest of the bunch (It is also doing a tasty cascara tea, which is made using dried berries from the coffee plant). But Stumptown is going all-in with the cold brew wave. It has the black cold brew coffee, served up in a little bottle. It has a coffee with milk, served in a carton. It offers a can of coffee infused with nitrogen. And at certain stores selling its coffee, you can get a coffee on tap (this is interesting; but not as good as my Cuvee experience). It also sells a “cold brew canteen” to carry your coffee around — and keep it cold. Blue Bottle has a New Orleans Iced Coffee, which comes in a milk carton and combines milk, chicory, and cane sugar. It’s quite good, but is more like a dessert, rich and thick. There’s a huge amount of experimentation going on in the cold brew coffee market. There are interesting and new tastes, and it can be really refreshing. For me, it’s a nice alternative. But in the end, I’m still a hot coffee kind of guy. Even in 100-degree weather, I still crave the hot brew.